Situated in Mabini, this hotel is 2.8 mi (4.5 km) from Mt. Gulugod Baboy Trailhead and within 9 miles (15 km) of Mainit Point and Masasa Beach. Sombrero Island is 8.6 mi (13.9 km) away. This hotel features a restaurant, an outdoor pool and conference space. Free WiFi in public areas and free self parking are also provided. Additionally, a children's pool, free newspapers and tour/ticket assistance are on-site. All 31 rooms offer room service (during limited hours), flat-screen TVs with cable channels, and showers. Desks and free toiletries are also available to guests. The hotel offers a restaurant. Public areas are equipped with complimentary wireless Internet access. 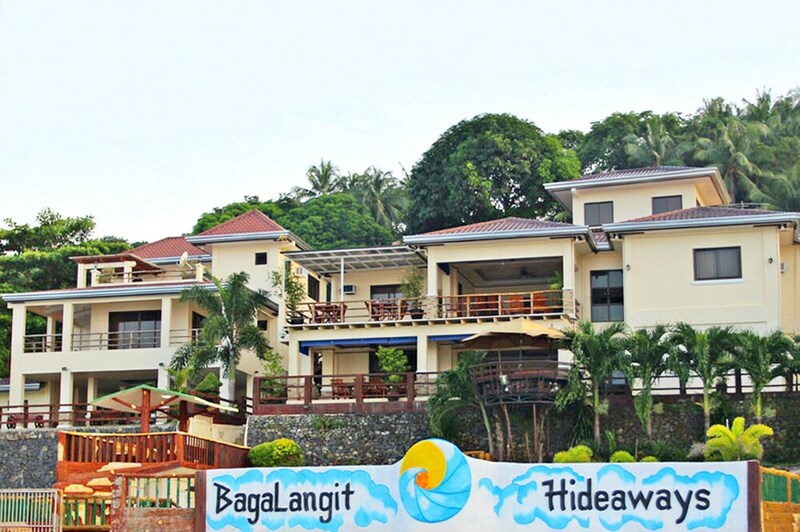 BagaLangit Hideaways features an outdoor pool and a kid's pool. For a surcharge, a round-trip airport shuttle (available 24 hours) is offered to guests. This business-friendly hotel also offers a terrace, tour or ticket assistance and a garden. Limited complimentary on-site parking is available on a first-come, first-served basis. BagaLangit Hideaways has designated areas for smoking. BagaLangit Hideaways has a restaurant on site.